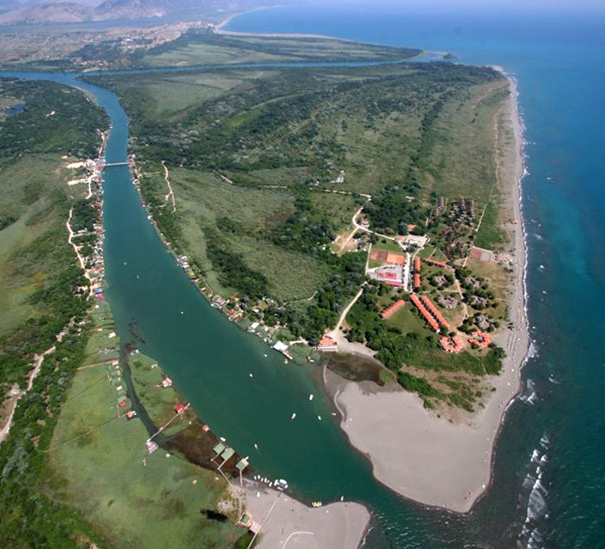 Municipality of Ulcinj has nearly 20.000 habitants and it’s listed as very popular place for tourists. The beach of Ulcinj spreads along the 45.6 km of the coast line, from the town of Ulcin to the border with Albania. Despite the fact that most of the Riviera is rocky, its main quality are 50 meters wide sandy beaches stretching along 15km of the coast. Further south, across the Bojana River estuary, is Ada Bojana with almost 4 km long shore line covered with the finest sand on the Adriatic, well known as medicinal properties. 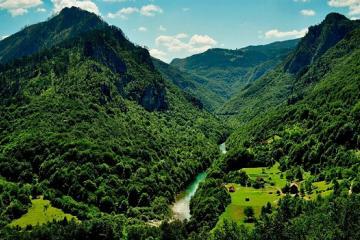 The river Bojana (Albanian Buna, Latin Barbana) arises from Lake Skadar. It is 44 km long, and by its water amount brought into the sea it is the third river on the Mediterranean (after the river Nile and Po in Italy). It is a natural habitat for various plants and animals. According to the legend in 1858 the ship “Merito” sank at the place of the present river mouth. In the XIX century there were two tiny islands at this location. 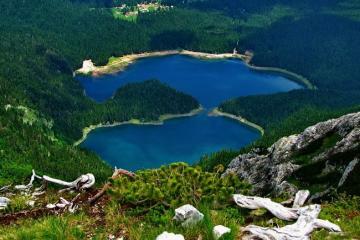 The ship wrecks kept the river sediments together with these two islands and thus the beautiful island Ada was formed. It became vivid in 1882. The island of Ada has got a triangular shape. Two sides are washed by river and one by sea water. It covers 600 hectares and the beach is about 3,8 kilometers long. Ada is the most famous tourist jewel in Ulcinj Riviera. The Nudist settlement on Ada with its specific atmosphere is smartly hidden from the curious looks and it is encircled by the beautiful river Bojana from two sides and the third side borders with the cleanest sea water. 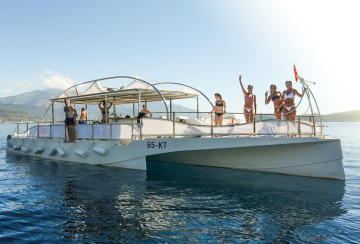 Many people say that the best recommendation for the tourists who would like to visit Ada is the advice: Should you ever want to spend your dream summer vacation in the costumes of Adam and Eve, then Ada Bojana is the best choice. Throughout history, Ulcinj was the long ages known pirate nest. Starting from the 14th century, he city began to inhabit the pirates from Malta, Tunisia and Algeria. 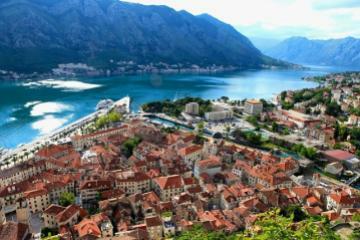 The coastal part, from the present Ulcinj all the way to Kotor, was the pirate haven. The pirates, especially during the 16th and 17th century, represented a terror at the sea. Pirate gangs have been strengthened so much that day attacked various trading ships that sailed under various flags, robbed them and quickly sailed in their shelters that are made along the entire coast of Ulcinj. Besides intrusion and looting by commercial ships, pirates from Ulcinj were known by the trade in black slavery. Due to this fact, a large part of population in Ulcinj were black people from various African countries. Interesting story-to-tell is that among the slaves there was even Spanish famous writer Cervantes who was sold on one of the Ulcinj squares which is now called the Square of slaves. If you ask local people, they will tell you all about how Cervantes got his inspiration for Don Quixote during his five year long captivity. The town of Ulcinj dates back to the Roman era. The remains from the times of both Roman and Byzantine administration of the town. 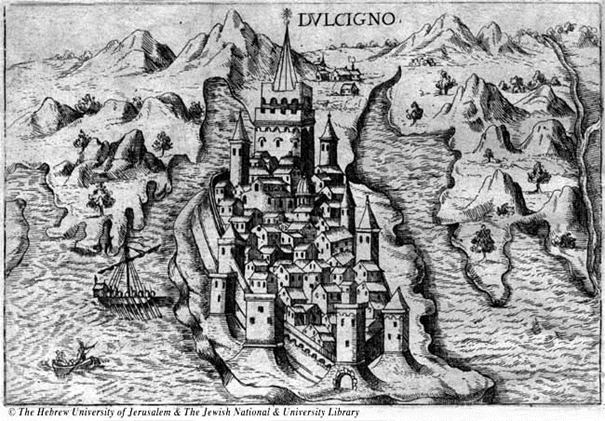 As many of the cities in costal Montenegro, Ulcinj has had numerous rulers over centuries – from Byzantium, Duklja, Serbia, Zeta, Venice and even Turkey. 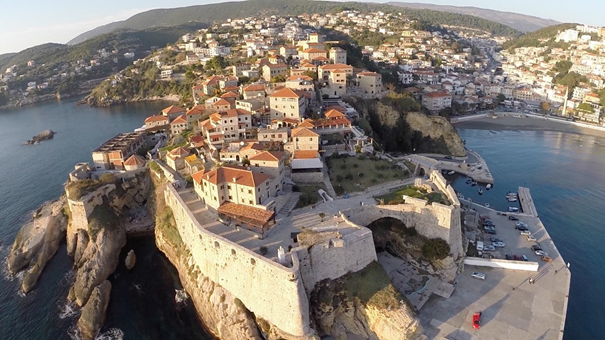 The Old Town of Ulcinj lies on a sea cliff, and its walls, built in early Middle Ages, durring Venetian and Ottoman times, still is well preserved. The town architecture is partly medieval, while parts of it date from 15th and early 16th century. Alternations during Ottoman rule are also visible. One of most significant architectural monuments in Ulcinj is the complex of buildings occupying the area next to the fortress, near the north gate. The church dedicated to undefined saint was erected in 1510. and restored in 1569. Later, in 1693. The Turks turned it into a mosque, and it now houses the Archeological Museum of Ulcinj. The foundation of Ulcinj is connected with the establishment of the state belonging to the Illyrian tribe Ardiaei in the fifth century B.C. Plenty of cultural objects which had been found here during the excavation work prove the foundation of Ulcinj 2.5 millenniums ago, like the wall and the fortification on the northern side of the Old Town. This fortification was built in the well-known Greek technique of building with huge stones, roughly hewn, regularly laid and drily joined. However, doubtlessly the most significant discovery is the up-to-now only Greek inscription on an antique sacrifice pedestal, made of the same yellow, but mature stone which had been used in the construction of the Ulcinium fortification, thus it can be concluded that its builders were Greeks, hired by the Illyrians. Due to its position which allowed it to control the wide sea, Olcinium (Ulcinj) was very significant in the Illyrian state, especially as major roads were crossing this region. There are numerous archeological findings which show us the way of living of the people from Ulcinj; part of the fortification leaning towards the Illyrian-Greek had also been discovered among numerous ceramic fragments as well as other objects of material culture. This part had been built by huge stones. Under the rule of the Romans Olcinium got the status of a town (oppidum civium Romanorum), which means that it was inhabited by Italic settlers who had all the Roman citizens’ rights, whereas the Illyrians got them later since they had already been partially Romanized. The powerful fortification on the coast enabled the citizens of Ulcinj to resist to the Avarian and Slavic attacks, but failed to resist the Eastern Roman Empire – the Byzantine Empire. This empire had been ruling for several centuries over our town leaving on it its particular impact. After the fall under the Serbian Nemanjić dynasty (1183), Ulcinj began to experience an economic rise; it became one of the most significant coastal trade centers of the Serbian state. The town forged its own money, like the nearby Shas, and it also got the city statute (1330). 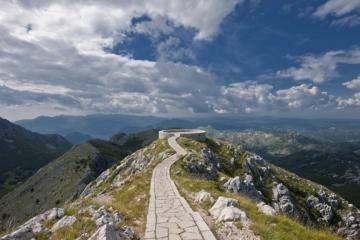 From 1360 to 1421 it was ruled by the powerful family of Balšić, who made it to their residence. 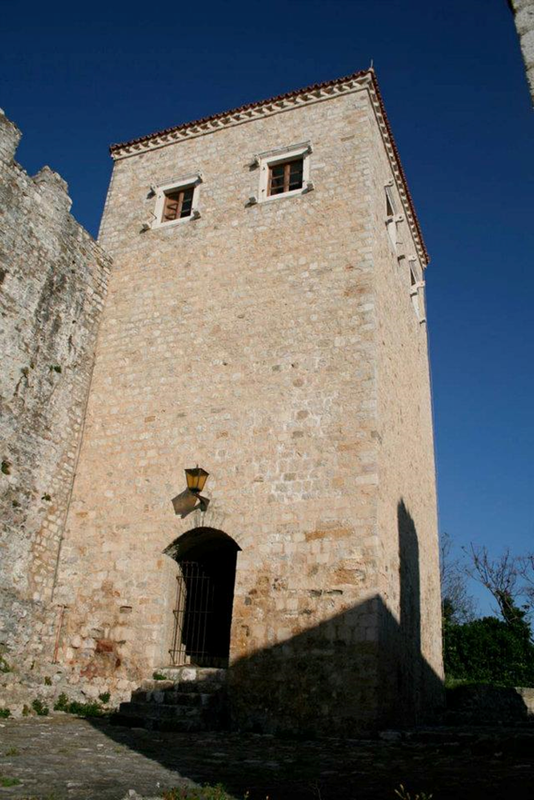 It is from this period that the magnificent Tower of Balšić in the Old Town was built, to which the Ottomans added the third level. 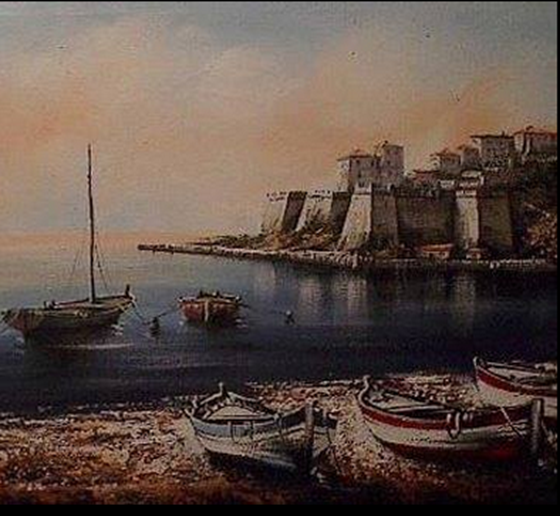 The following 150 years Ulcinj was part of the Venetian Republic. Although the Venetians had promised to respect the town autonomy, when Ulcinj surrendered, this did not happen. Throughout this period Ulcinj had just been one of the pre-guards of Venice on the Adriatic. The new masters left in the town its traces especially on the fortification and urban culture. Most important were the city walls, the bastions and reveling, by which the old towers had been substituted. Very often you can find evidence of recovery of the city gate and palaces of the city masters, dukes and captains. The Ottomans conquered Ulcinj in 1571, short before the battle at Lepanto, and they ruled with it until 1878/80. In that time the town experienced its biggest transformation in the history. Its geostrategic location, the empire's needs, the Khandian and Morean war, then the piracy, marine, shipbuilding and trade contributed to the rise of the citizens of Ulcinj onto the very surface of history. Since it was one of the bigger towns, Ulcinj was almost two centuries (18th and 19thcentury) among the biggest maritime centers on the Mediterrannean, with over 300 small and big ships. With its powerful fleet and fearless pirates who acted as the semi-regular forces of the empire, it represented the main support of the Ottoman Empire on the Adriatic Sea. During this time the town became a magnet for everybody, even the self-entitled Messiahs, such as the Jewish „last king“, Sabbatai Zevi (1626-1676), who spent the last years of his life in this town. Throughout the 20th century Ulcinj had suffered heavy falls but amazing rises too. 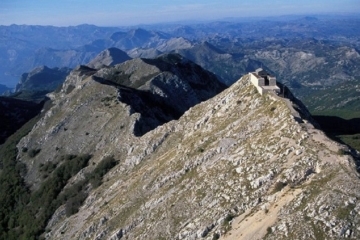 From the second-positioned town in Montenegro in 1880 when it became part of this state, after only three decades, it became the sixth economically developed and inhabited town (Podgorica, Nikšić, Cetinje, Bar, Plav). Its maritime and trade had a weaker and weaker pulls, so that the town declined. Ulcinj had to wait two decades after the end of the World War II to see its most beautiful time in this century. A lot of modern hotels were built in the town were founded, which contributed to a fantastic economic development. By the end of the eighties Ulcinj had made almost 40 % of the total tourist turnover in Montenegro, and two thirds of the tourists were from abroad, mostly from Germany. In the catastrophic earthquake on April 1979 the town suffered severe damages; however, it was just a couple of years later that it was renewed thanks to the solidarity of the citizens of the whole ex SFR of Yugoslavia. Even though Ulcinj has existed for more than 2.5 millenniums, it is still a multi-ethnical and multi-confessional town with the most beautiful natural resources in Montenegro, which makes it together with the hospitality of its citizens to be a desired destination for guests and visitors from all over the world.